We have just commenced the five hundredth anniversary (quincentennial) of Thomas More’s ‘Utopia’ as it was first published in Latin in December 1516. The publisher was Thierry Marten in Louvain, (now in) Belgium. As we have already said, born in 1478 to an aristocratic and intellectual family, More was an enigmatic character. He served the King Henry VIII, but became beheaded for his persistent convictions in 1535. When he wrote ‘Utopia’ he was 38. It took just 14 months to complete this book between July 1515 and September 1516, among his official duties and family commitments, as he said. More is considered a Catholic Saint, a great Guru of the Theosophists, a Liberal and a Socialist, among other portrayals. As far as the vision and the principles of ‘Utopia’ are concerned, he is undoubtedly the first modern thinker of ‘Socialism,’ although that word does not appear in the book. What is published today is Chapter 1 of the book after the Preface and the Introduction previously published. 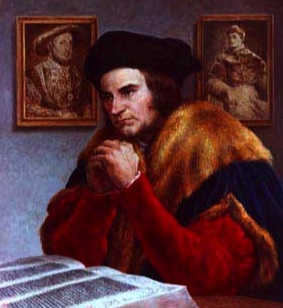 WHEN Thomas More wrote his Utopia in December 1516 he had a dream island in mind. There are indications that the island in his mind was Ceylon, the present Sri Lanka that he heard from a Portuguese traveler during his visit to Antwerp. As Susan Bruce said “The relations between the early modern utopian and the travel narratives are many, and apparently obvious.” Although More’s thesis on ‘socialism’ or ‘communism’ was written as a fiction or semi-fiction, as any other fiction writer, he took inspirations from his own experience and what he heard from other people. It is not that More thought Ceylon or the country he heard was socialist or ideal, but he seemed to admire certain life style features and practices that he heard from his informant that could go along with his ‘socialist’ dream. It is also possible that he received the information from a travel manuscript and not necessarily from a traveler himself. More precisely, the description of Ceylon was apparently useful for sketching out his dream island. Apart from Ceylon, he heard about Calicut (Kerala), New Castile (the Philippines) and other Asian countries from this traveler and he was knowledgeable about many more countries and continents as well. Utopia also reveals his knowledge about Persia. Utopia consists of two books. The story is written in the form of a true narrative when Thomas More meets Raphael Hythloday, the Portuguese traveler, through Peter Giles in Antwerp. Book I is about the initial conversations between the three with strong criticism on the evolving capitalist system in England and Europe during that time. Not only the economy but also the system of governance was criticized. More (or Morus) himself is the narrator appearing in his own name. Peter Giles and many others are also historical characters. But Raphael Hythloday is fictional. The family name Hythloday in Greek means ‘speaker of nonsense.’ Raphael is a common name those days in Portugal and Italy deriving from the name of the archangel in the Bible. Raphael is introduced as a man “for there is none alive that can give so copious an account of unknown nations and countries as he can do.” What are these nations or countries? He had undoubtedly been to many countries in the East and a particular mention is made of New Castile and that is Luzon in the Philippines. Then he was lost. After that “by strange good-fortune, he got to Ceylon, and from thence to Calicut [Kerala], where he very happily found some Portuguese ships, and, beyond all men’s expectations, returned to his native country.” It is said that he lived in Utopia (i.e. Ceylon?) for five years. It is not the mere mentioning of Ceylon that warrants our speculation that it was More’s ‘dream island.’ When someone is lost in the high seas in the Indian Ocean, according to More, you get to Ceylon by ‘strange good fortune.’ This is a clear indication that More knew about Ceylon and its strategic importance at least in sea travel. Book II begins with the description of the island of Utopia. That description matches more or less with the island of Ceylon; taken into account the exact geography was quite unknown during that time particularly for a person like Raphael, who was an accidental visitor. It says, “The island of Utopia is in the middle 200 miles broad, and holds almost at the same breadth over a great part of it; but it grows narrower toward both ends. Its figure is not unlike a crescent: between its horns.” The length of the island is given more or less correctly but not the breadth. The actual size of Ceylon (today) is 268 and 139 miles; the length and breadth. The two horns mentioned can be the Northern cone (Point Pedro) and the Southern cone (Point Dondra). It is rather imaginative to consider Ceylon is like a crescent. More importantly, there is a harbor described, very close to Trincomalee. Its natural environs are depicted with its importance. The following is the narration in three paragraphs separated for emphasis. Amaurot, is the name of the capital of Utopia and its geographical account is very much closer to Kotte, the capital of the kingdom of Kotte (1412-1597), as described follows. It is important to note that it is not exactly a hill that More was talking about but “rather a rising ground” near the city; then the ground “descents for two miles to the river Anider” and most probably the river Kelani. The traveler that gave the description to More had been in the country for five years and most probably he had given a sketch of the city and its location. About the river it says, it “rises about eighty miles above” the city and it is almost exactly the length of the Kelani river. The other descriptions are also matching perhaps common to many rivers in the world. Then comes an interesting depiction of something similar to the Diyawanna Oya and it goes like the following. One could argue that if More at all took a description from what Raphael said about the East Islands, then Utopia could well be in the Philippines archipelago and not Ceylon, because he was reportedly there for a longer period. But there are some clear reasons to discount that assertion. First is the following: “But they report (and there remain good marks of it to make it credible) that this was no Island at first, but a part of the continent.” There is no continent near the Philippines islands, whether Ceylon was ‘first’ a part of the Indian (sub) continent or not. It is however believed that Ceylon was well connected to India by land until the 15th century or at least the separation was shallow. Second, the story that Raphael apparently related is also mixed up with the Vijaya story. 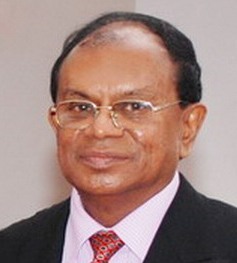 Vijaya is considered the founder of Lanka or Ceylon. It goes like the following. “Utopus that conquered it (whose name it still carries, for Abraxa was its first name) brought the rude and uncivilized inhabitants into such a good government, and to that measure of politeness, that they now far excel all the rest of mankind; having soon subdued them, he designed to separate them from the continent, and to bring the sea quite round them.” There are of course similar stories to Vijaya in many other countries. The legend of William the Conqueror who created modern England is one. Caboja (or Kambuja) that founded Cambodia is another. A later socialist thinker, Karl Kautsky, expressed the view that the island Thomas More talked about in fact was England. He said, “The island of Utopia is, in fact, England. More designed to show how England would look and what shape her relations with abroad would assume, if she were communistically organized.” But England itself is not an island and More would not have selected England as his Utopia for the very reason that he wanted to bring lessons to England and other European countries from Utopia. It also should be mentioned that More also noted “many things that were amiss in those new-discovered countries.” He didn’t consider any country to be perfect including his imaginary Utopia. Many of the other European commentators perhaps without much attention to details believed that the description of the island came from one in the Atlantic Ocean. Perhaps the reason for this belief might be the existence of legendary ‘Atlantis’ since Greek times. This belief or speculation became reinforced after Francis Bacon’s New Atlantis in 1624. Another reason for this speculation was the mentioning of the ‘new world’ by Thomas More. While the ‘new world’ was generally considered as (south) Americas after Americus Vespucius’ discoveries, there were many instances where authors referred to the newly discovered countries in many continents as the ‘new world.’ It is clear from Book I, that the countries that were focused upon in Utopia were the Philippines, Ceylon, Kerala and Persia. There is no mentioning of the islands in the Atlantic. There is a clear indication that when it came to social practices, family and community life, and religion, More expressed very clear admiration for the ‘Eastern’ ways of life. In this sense, he must be considered one of the first ‘Orientalists.’ Perhaps he was correct and perhaps he was utopian. The following however are some evidence. There are two aspects to Utopia. On the one hand, it is the first modern conceptualization of socialism although the term ‘socialism’ was not used. In conceptualizing socialism, perhaps what was dominant was More’s own ideas and theories how the social system should be organized or reorganized. In this respect, More was an inventor. On the other hand, it was an admiration of ‘another system’ which he believed existed, right or wrong, in newly discovered countries primarily in Asia. It is in this sense that he was an Orientalist. If not for this admiration, there was no need for him to bring Raphael into the picture or talk about newly discovered countries. He was basing himself on another person’s discoveries. This is the second and more profound aspect. This chapter does not focus much on the socialist aspects of More’s thesis. It focuses on the argument that Ceylon probably was his imagery as an ideal country particularly in social practices combined with the information he received from Kerala, the Philippines and other Asian countries. When More explained agriculture, trades and manner of life, as told by Raphael, this is what he reported. “Agriculture is that which is so universally understood among them that no person, either man or woman, is ignorant of it; they are instructed in it from their childhood, partly by what they learn at school and partly by practice.” Then there were the trades. “Besides agriculture, which is so common to them all,” he said “every man has some peculiar trade to which he applies himself, such as the manufacture of wool, or flax, masonry, smith’s work, or carpenter’s work; for there is no sort of trade that is not in great esteem among them.” It is possible when he talked about trades he wanted to mention trades that are known to the Europeans. Otherwise there were no major trades related to ‘wool or flax’ in Ceylon, except in Jafanapatam later. His main purpose was to introduce new ideas in terms of social practices. With an indication of a loose caste system, very much peculiar to Ceylon, it was said: “The same trade generally passes down from father to son, inclinations often following descent; but if any man’s genius lays another way, he is by adoption translated into a family that deals in the trade to which he is inclined.” The flexibility of the caste system was one aspect in Ceylon influenced by Buddhism unlike in India. The following is what is said about the family life, reminiscent of the extended family institution both in Ceylon and Kerala. “Their families are made up of those that are nearly related to one another. Their women, when they grow up, are married out; but all the males, both children and grandchildren, live still in the same house, in great obedience to their common parents.” But to return to their manner of living in society, More reported that “the oldest man of every family, as has been already said, is its governor. Wives serve their husbands and children their parents, and always the younger serves the elder.” Some of the practices came very closer to what appears in Buddha’s Sigalovada Sutta. The last sections of Book II of Thomas More are on ‘Religions of the Utopians.’ These are the sections that very clearly show that More not only expressed his views through his ‘imagined island’ and ‘imagined people’ of that island, but in fact reported what he actually heard, imprecisely though, about the newly discovered Asian societies particularly Ceylon irrespective of his personal views. Thomas More was a strong Roman Catholic of that time who was not in favor of the emerging Protestantism. Religious pluralism was unfamiliar to his experience in England or Europe of that time. But as a committed intellectual and a man of letters, he was grateful to report what he heard from the person he called Raphael Hythloday of course with his own interpretations. It is extremely possible that the information was sketchy and he opted to brush it up with his own imagination. But other than from Ceylon or other Asian countries, the description could not have emerged as it is recorded. Here he goes. “There are several sorts of religions, not only in different parts of the island, but even in every town,” “Though there are many different forms of religion among them, yet all these, how various soever, agree in the main point, which is the worshipping of the Divine Essence.” He also said “there are no images for God in their temples,” perhaps referring to a Buddhist temple. He also refers to strong God worshiping, obviously referring to the Hindu or Islamic faith of that time. During this period, in Kerala and also in the Philippines, Hinduism, Buddhism and Islam were in existence side by side without rancor or conflict. This is apart from Ceylon. But it is quite possible that he received information about Ceylon during the period of Parakramabahu VI (1415-1467) although his informants visited at a much later time close to the end of the century or most probably early 16th century. This was a period when peace and prosperity prevailed in Ceylon and the country was well known for literature, scholarship and art. This was apart from religious pluralism. Another reason to speculate that More got some information from Ceylon through Raphael, or any other, is some of the following. “All the people appear in the temples in white garments, but the priest’s vestments are parti-coloured.” This description appears akin to both Hindu and Buddhist practice, perhaps more to Hinduism. “As soon as the priest appears in those ornaments, they all fall prostrate on the ground, with so much reverence and so deep a silence that such as look on cannot but be struck with it, as if it were the effect of the appearance of a deity.” ‘Falling prostrate on the ground’ is predominantly a South Asian custom. This custom is performed, according to More, not only before priests but also before husbands and parents. This is how it is said. Perhaps More conflated this custom with Catholic ‘confession.’ However, the main thrust of the practice is akin to what prevails in Sri Lanka even today or fast disappearing. There is no need to exaggerate that Thomas More fully well knew about Ceylon and unequivocally admired it as his ‘dream island.’ It is not the case. But there are indications that he came to know about Ceylon and perhaps for reasons of artistic creation used some of the information in describing the island that he called Utopia. The size of the island, its natural harbor, its closeness to the continent and the legend of Utopus come very close to Ceylon. There is no other island known to me closer to the description. In addition, there is another indication which was not mentioned before. It is also about the history. As More says, “Their records, that contain the history of their town and State, are preserved with an exact care and run backward 1,760 years.” This is very much closer to the recorded history or the claimed recorded history of Sri Lanka or Ceylon. Utopia is an island very much similar to Ceylon, rich with pearls and gems but no iron. The most interesting perhaps is More’s admiration of social practices and customs of the newfound Asian countries of that time, Ceylon being pivotal, which apparently gave some inspiration for him to visualize a future socialist society. They include, as discussed above, the family system and the respect for parents and elders. Among them is also religious tolerance and multi-religious practices. These are unfortunately the vanishing or already vanished practices in Sri Lanka and other Asian countries. There are many other aspects of similarities which would be dealt with in other chapters whenever appropriate. Emerson Tennent, Ceylon: An Account of the Country, Longman, London, 1859, p. 2. She further said “the writers of such texts felt impelled to offer a plausible explanation for the fact that the imagining lands that described were unknown to the audiences to whom they described them, and to posit an unknown nation in the middle of the Indian Ocean or off the coast of the Americas.” Susan Bruce (ed), Three Early Modern Utopias, Oxford University Press, 1999, p. xi. But the present author argues that it could be the other way round and also both ways. There is reality and fiction. If it is any indication ‘Sao Raphael’ was one ship in Vasco da Gama’s fleet to India in 1497. Even the journal of the first voyage described about the island Zelong. According to Emerson Tennent (op. cit. ), many Portuguese travelers were excited about the “discovery of Ceylon” at that time, an expression of which De Barros and San Romano used to describe the landing of Lorenzo de Almeyda in Galle in 1505 ‘by accident.’ Tennent also mentions that Thome Lopez (Navigatione verso l’Intie Orientali, 1502) had described Ceylon [apparently in great detail]. The original is lost and what remains is an abridged Italian translation. This could have been one of Thomas More’s sources. It was Moore traders (of Arab descent) who described the shape of Ceylon as a crescent. Amaurot means ‘dim-city’ in Greek, and More, in his wit, used it to mean the opposite. Anider also means ‘water-less’ again to mean the opposite. Philip Baldaeus, the 17th Century Dutch traveler said, “In ancient times it was without question was annexed to the Continent,” in his Great and Most Famous Isle of Ceylon in 1672. Here he was talking about geography, not politics. Karl Kautsky, Thomas More and His Utopia, International Publishers, 1927. Kautsky was Karl Marx’s one time Secretary. Even in Jafanapatam, sheep were introduced by the Portuguese later but not by this time. Walpola Rahula, What the Buddha Taught, Gordon Frazer, London, 1959. Pp. 119-125. RE: Part III: Was Ceylon The Dream Island Of Thomas More’s Utopia? Happy New Orbit around the Sun (New Year) for All Rockists(Earthlings), residing on the Third Rock from the Sun, believing in various Myths, Ideologies, Utopias etc. and other unproved hypotheses. The Common Sense Phamplet by Thomas Paine was published 241 years ago in English, and that helped the American Revolution, to get rid of King George. The Common Sense Phamplet for Lanka, the Land of Native Veddah Aethho, by the Unknown/Un-named author is is yet to be published 68 years after in English, Sinhala and Tamil, that will help consolidate the Para- Revolution, to finally get rid of “King” Mahinda Rajapaksa, the so-called King “DutuGamunu” for good. Who is going to be the Unknown/Un-named author of the yet to be published Common Sense Phamplet of the Paras in the Land of Native Veddah Athho? Common Sense made public a persuasive and impassioned case for independence, which before the pamphlet had not yet been given serious intellectual consideration. He connected independence with common dissenting Protestant beliefs as a means to present a distinctly American political identity, structuring Common Sense as if it were a sermon. Historian Gordon S. Wood described Common Sense as “the most incendiary and popular pamphlet of the entire revolutionary era”. HNY Amarasiri! You seem to be the only one who reads about Thomas More!!! Do you actually read or just comment? If I write on the other Thomas even you might not read. Then there might not even be one to comment! HNY again! Amarasir’r curiosity drives him to read a lot until he finds the essence and answers that are of interest, that are logical and have support. Thanks for taking us down memory lane, 500 years ago, to the “Dream Island”. Amarasi is also disappointed, that he is the only commenter. Amarasiri liked the description of life at that time, that was more “socialist” even though Feudal as based on Castism. They, the Catholic Church, almost burned Galileo to death. but they did burn Giardano Bruno. The above was the interest. Amarasiri has Tennent’s book and read the whole book. It is All right to dream. Faithful dream about Heaven and Nirvana, and More on Utopia, on Lanka, when the Portuguese tried to colonize, and it was not Utopia for those who were subjected to Portuguese colonial brutality. Roman Catholic Utopia was everyone is Catholic and believes in an Infallible Pope. Thomas More was one, and he lost his head to the King. Martin Luther, the reformer of October 1517, Saved Europe and the rest of the world, from Papal-ism, and paved the way for the Age of Reason and Enlightenment. However, 12 million Native American natives lost their lives as well. 5. However, Amatsiri’s interest is about Lanka, the Land of Native Veddah Aethho, and the mess the Paras, especially the Para-Sinhala have made in recent times. That is why a Common Sense Phamplet for Lanka, the Land of Native Veddah Aethho is needed busting Myths and telling the truth and facts, as it is, just like Copernicus. Galileo, Kepler, Newton, and Foucault did for our own planetary system. 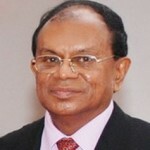 Dr Laksiri Fernando, you are absolutely wrong. You will get hundreds of hits, and the Politicians may even try to ban it, and it will be even more popular. .
Dr Laksiri Fernando. you will be remembered 241 years later! They still talk about the Mahawamsa and Monk Mahanama. Do you know any other Monk from ancient times? When can we expect the Common Sense Phamplet? In 14 months? Oxford English Dictionary’s word of 2016: “post-truth”. Is this just shorthand to help liberals make sense of a world they don’t like? Or does it mark something more meaningful? Are we really no longer interested in truth or is our toxic political climate clouding our ability to agree on what the facts are? Does it matter if they leave the truth behind entirely? The Art of the Lie.by political scientist. The Arabs were the first to travel eastwards and have traders in most islands of the east including of Spice islands Maluku Islands. Nowhere do moors or Spanish mention Ceylon though pepper from Cochin was the currency of the day for 800 years. Magellan the Portuguese circumnavigated for Spanish king, Charles I,/ Holy Roman Emperor Charles V. On 6th Dec 1519 he crossed the equator on his way to the Spice Islands (he had been before) in March 1521. It was not untrustworthy Portuguese Ships (it was a copy of Moor ships that were copied)but “Treaty of Tordesillas” that guided Portuguese and Spanish ships in their exploration. Philippines is Spanish colony. yours is more about Ceylon: an account of the island, by Sir James Emerson Tennent, a politician.- yet another story teller who had not lived during that era. But post-truth politics is more than just an invention of whingeing elites who have been outflanked. The term picks out the heart of what is new: that truth is not falsified, or contested, but of secondary importance. Once, the purpose of political lying was to create a false view of the world. The lies of men like Mrs Killary do not work like that. They are not intended to convince the elites, whom their target voters neither trust nor like, but to reinforce prejudices. Have not the citizens been lied to enough?? From descriptions of life in Ceylon around 1948 one is led to feel that Ceylonese were heading towards a dreamland. Unfortunately a political can of worms was unleashed and rest is history. Read it as Ceylon was not different but managed by British Raj- ofcourse all it had was plantation some precious stones unlike Indian wealth. A temple at Kerala may have $1 trillion (gold precious stones) if the last vault is opened now its $22 billion and more than Tirupathi. Sri Lankans are more of a pirate so they were favoured by the British Raj. remember there was a sergeant kandiah always. We did not respect whom we should. Our well fed meal is given by farmer. Really do we respect farmer today? Tap your heart and ask ? Do you respect you teacher ? In this set up is our teacher kept in a respectable place? Especially school teachers. I do not know the result when tabs are given. Really I have my best respect to Priests, even the robe. But gradually what is happening to that respect due to mistakes in many parties. We forget about Father. Is our mother respectable today. This is my personal view. When a young son saw his mother’s dress, in a country like us he may be shy to look at his mother. The most respectable personality to all Buddhists in all the three worlds is today Natha Dewiyo , Mithree Bodhi Sathyo to be the next Lord Buddha in this Universe. When well educated Professional publish a deliberate lie to deceive people violantly saying Natha Dewiyo told me that, eeta passe dewiyowath api diha balaida?